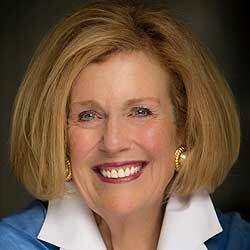 As executive director of the Kentucky Governor’s Mansion from 2007 until 2015, Ann Evans has been the face of Kentucky hospitality for eight years. Throughout her tenure with the governor’s mansion, “Miss Ann,” as many call her, has been an ambassador for the state, hosting dignitaries, celebrities and citizens of the commonwealth. Born in Louisville, she was raised in her mother’s catering and special events company, where she had her hand in virtually every aspect of event planning, from culinary standards to managing a staff. After attending the University of Kentucky, where she earned a degree in journalism and also fine-tuned her public speaking skills, she ended up staying in Lexington. Evans served as regional director of the American Lung Association for 20 years before accepting the position of executive director of the Kentucky Governor’s Mansion. 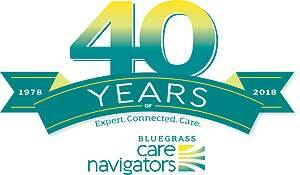 She has also served as director for Ronald McDonald House Charities of the Bluegrass. John Carloftis credits Ann with mentoring him and as his favorite muse. 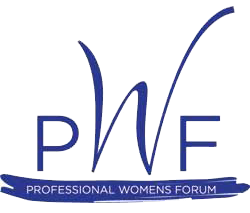 Register for the Wednesday, May 1, PWF meeting, 11:30 a.m., at Copper Roux by Friday, April 26 , 5:00 p.m. Cancellations, without charge, will be taken until Monday, April 29, 10:00 a.m. Member cost is $25; guest cost is $29. Payment can be made by check, cash, and with a credit card. There is a service charge of $1 if a credit card is used. Guests may attend twice in a fiscal year, October-September, before joining. Please be aware that if your guest cannot attend you are responsible for their payment. Would you like to sponsor a future meeting??? Be a Corporate Sponsor??? Contact Caitlin Neal at cneal@oriusa.com. The cost is only $250.00 for a YEAR. You do NOT have to be a PWF member to be a Corporate Sponsor. Read our Corporate Partner Benefits. – Dreambuilders: Each year the Dreambuilder committee identifies agencies who support women who work in Lexington that are a good fit. Once an agency is selected, then the committee will work with that agency to identify items for donation and delivery of those collected items. Special events for that agency may be featured in the PWF newsletter and on the website/social marketing. That same agency may be considered for support again in three years. This practice allows PWF to support a wide range of groups who are supporting women in Lexington. – Members of other organizations are invited to Join PWF. As a member there are opportunities for sharing information about upcoming events in the newsletter as well as placing information on the Member Information Table just as members enter the room. Also as a member you or your designate can attend the monthly meeting and network with members so that they know what is coming up at your agency. 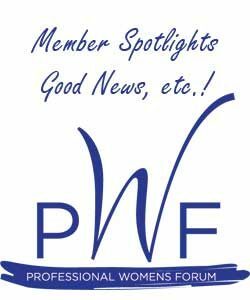 – A relatively new option is the PWF Spotlight program, where an organization sponsors a meeting and has the opportunity to speak to the group for 3 minutes before the keynote speaker. Also the Spotlight organization receives recognition leading up to the meeting in the newsletter and on the website / social marketing.